The pedal-equipped integrated recumbent exercise bike and desk allows users to lose 2-5 pounds a month by pedaling legs while working. As Bryan Ritchie, the Associate Vice President at the University of Utah and Executive Director of Technology Commercialization Office, puts it, you will start burning calories without exerting too much as pedaling will soon become a habit. 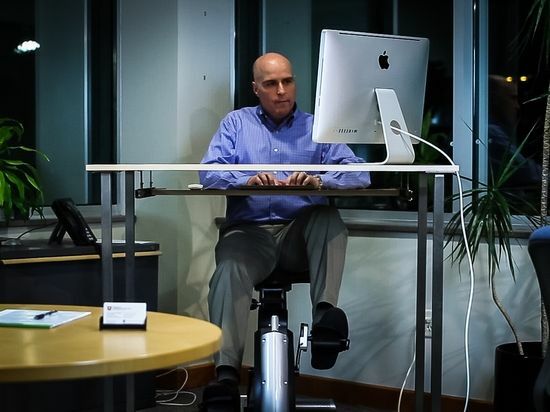 Contrary to Walking Treadmill Desk, wherein users are supposed to lumber while walking which causes interference to regular deskwork, pedaling at Active Desk involves no such useless nuisance. The innovative desk helps support your elbows while typing, thus, making it comfortable for use. Hoping to gather support from backers at RocketHub, the Active Desk will ensure you lose 300 to 800 calories a day without having to sweat, any sort of heavy breathing or muscle burning.